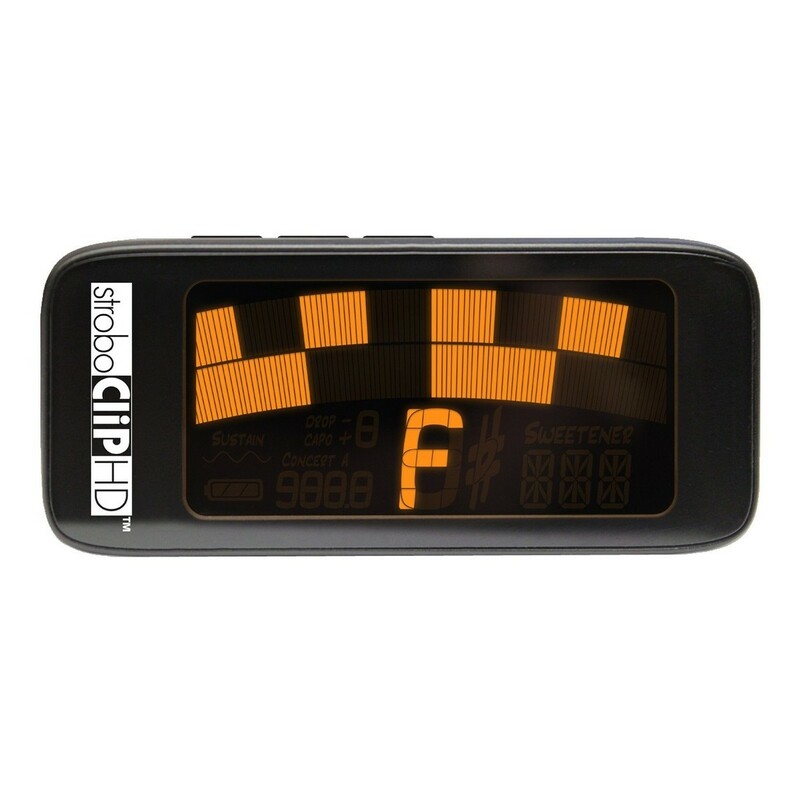 The Peterson StroboClip HD, Clip On Strobe Tuner is the perfect solution for precise intonation in a low-profile, clip-on unit. This high-quality design delivers accurate tuning using True Strobe technology. 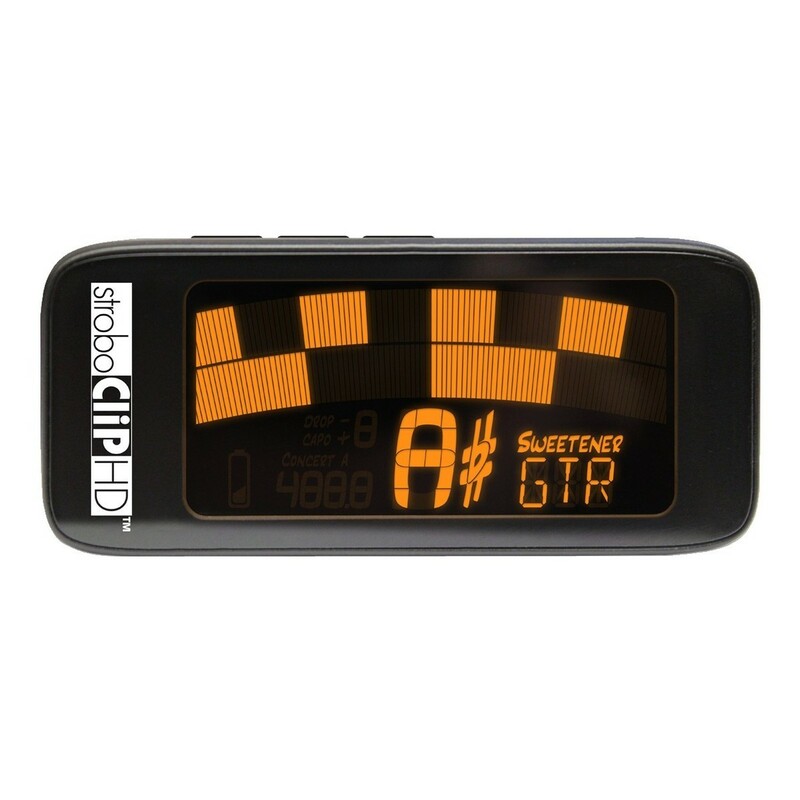 Its clip-on mechanism provides a secure grip to your guitar for optimum results, while its high-definition LCD display is visible in both dark and bright lighting. 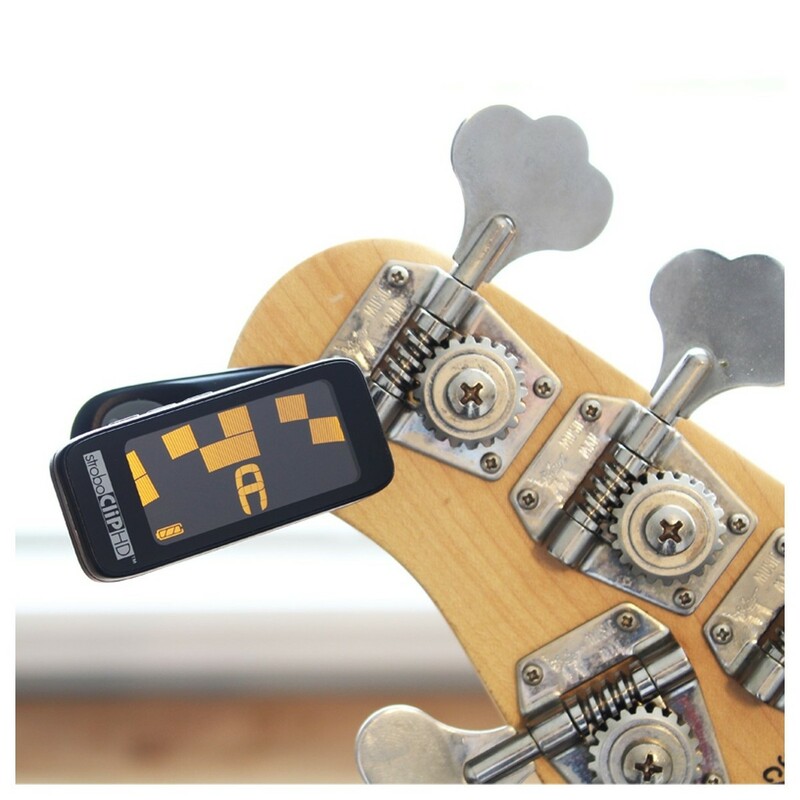 Finally, this innovative device is compatible with a computer for Firmware updates and customisation. The StroboClip features an ergonomic swivel head mechanism that can be easily turned to suit any viewing angle. Its clip-on function provides a secure grip to a guitar's headstock, and the rubber-lined pads ensure the guitar's finish remains intact. The high-definition backlit display screen is perfect for dark stages, while also being visible in direct sunlight. 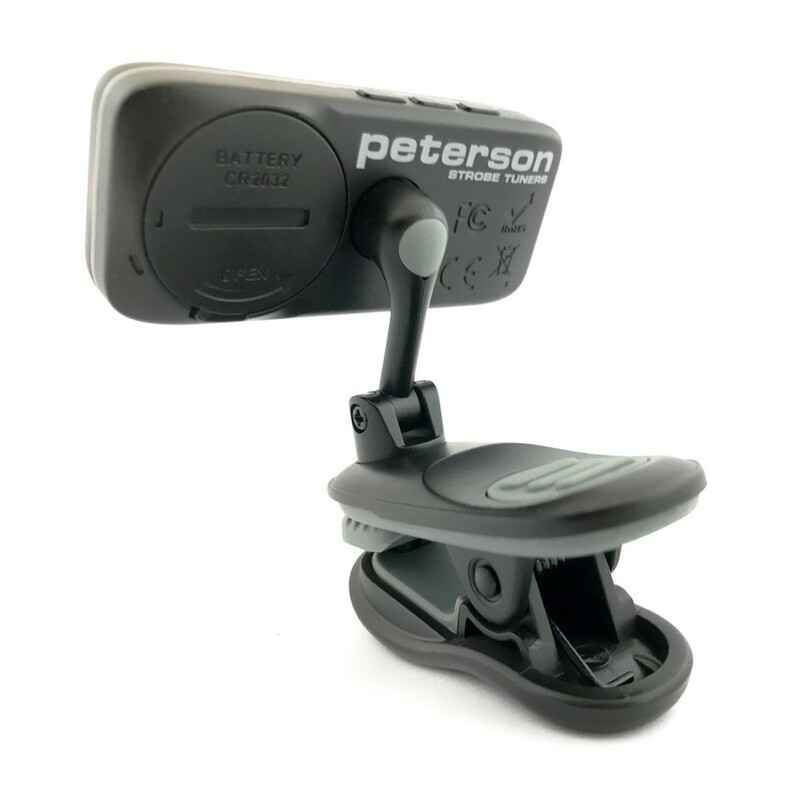 Players can connect their StroboClip to a computer and keep up-to-date with latest firmware updates using Peterson Connect. 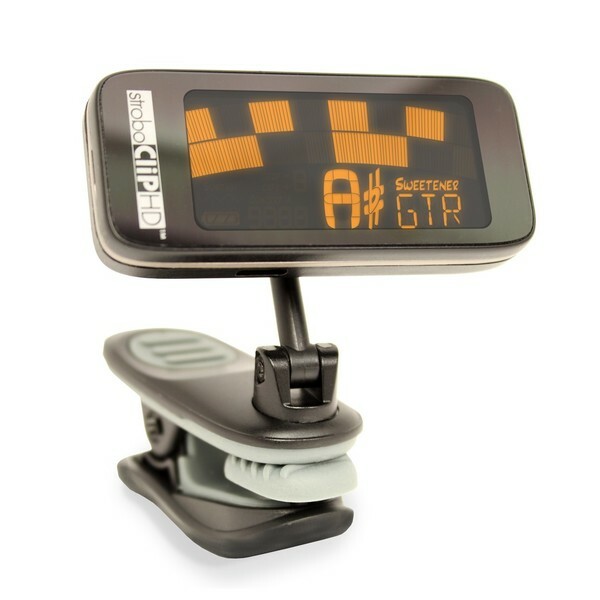 This innovative feature allows the StroboClip to remain current, and keep up with technological advancements. Peterson Connect is a free online application.